Perfect for homes with medium to large gardens. 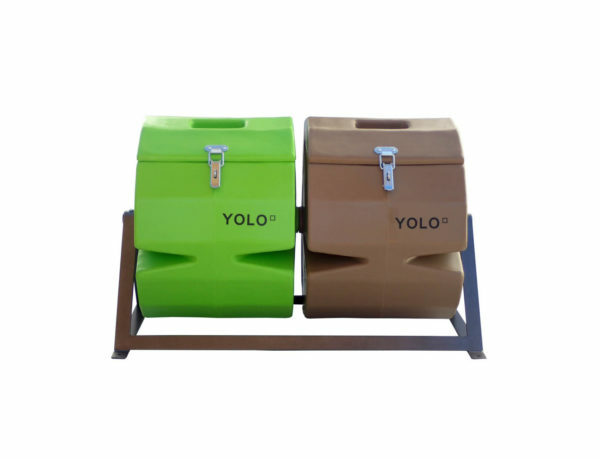 This large YOLO Compost Tumbler will gobble up your kitchen peelings, grass cuttings and plant trimmings to produce nutrient-rich compost for your own use. Once the first shell is full, start using the second shell while the contents of the first matures. Courier for Gauteng is R75. We’ll quote on courier fees for outside of Gauteng. Perfect for homes with medium to large gardens. 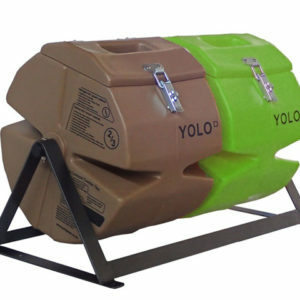 This large YOLO Compost Tumbler has two 200-litres shells. It will gobble up your kitchen peelings, grass cuttings and plant trimmings to produce nutrient-rich compost for your own use. Once the first shell is full, start using the second shell while the contents of the first matures. 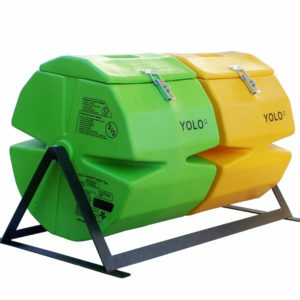 For very large gardens, this large unit works well in conjunction with a compost heap to mature the contents from the heap for a regular supply of compost. Banking details will be provided on an invoice after your order has been confirmed. Please include your colour preference in the ‘Order Notes’ on the Checkout page. Note that delivery is by courier. Delivery to Gauteng is 1-2 days. Delivery to other parts of the country is 2-3 days. 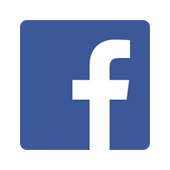 Please refer to our page ‘Sizes and Prices‘ for current courier rates.